I have heard before about the famous Southern hospitability. In truth, most of this knowledge came from classics like ‘Gone with the Wind’ and ‘To Kill a Mocking Bird’ and a few random representatives of Southern states, met here on the streets of Seoul. Nonetheless, even despite this perception, I was also equipped with previous bartender event experiences, which taught me not to expect anything but the spirit samples and MAYBE a bottle of water. 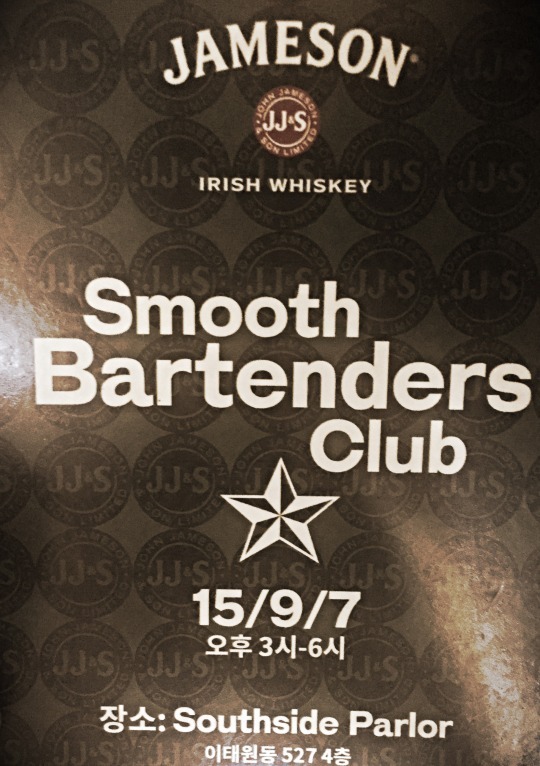 Hence, before coming in for Smooth Bartenders Club event, organized by Itaewon’s Southside Parlor (SSP) and Jameson Whiskey, I grabbed a lunch and a big bottle of water. Afterwards I wished I hadn’t. 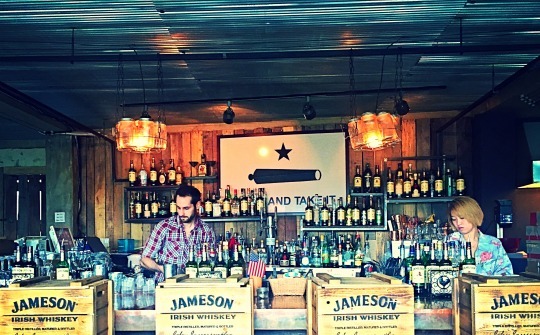 The event was set as rather low-key, focusing mainly on the local bartenders. Maybe that’s why it was easier to hold such a fun and exciting event. We were all greeted by a Jameson Whiskey Sour, complied in a delicious manner by the bartenders of SSP. 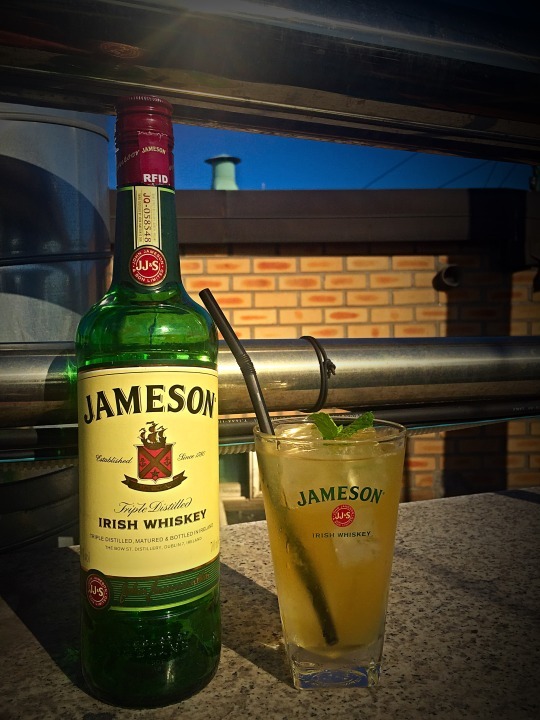 The main party was held on the rooftop with an epic scenery of Seoul as a backdrop to the events, like Jameson Whisky pong (no worries! We only put in less than an ounce in each glass and watered it down with ginger ale), umbrella cricket and others. While indulging in SSP’s epic tacos and barbecued sweet potatoes, we had the opportunity to taste different Jameson-based cocktails (beside the Whiskey Sour, I had Jameson Highball and SSP’s Philip Abowd’s signature crème de pêche based drink). 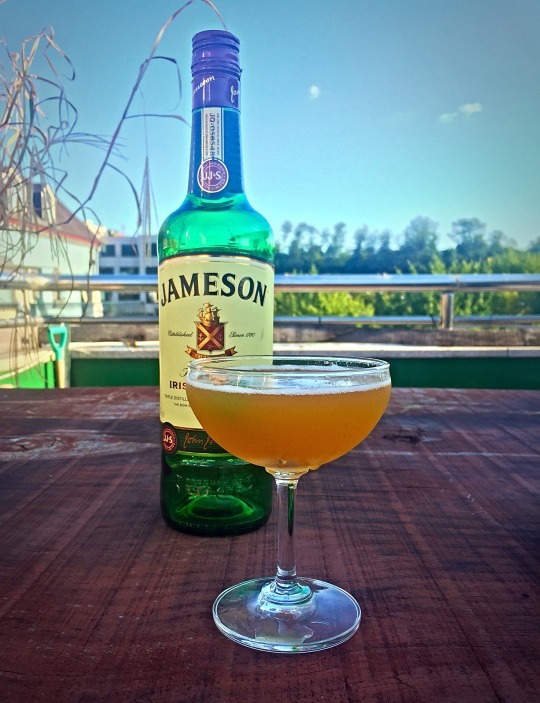 In this leisurely atmosphere we could listen to Jameson Ambassador, Nathan Jackson, talk about his product and have jolly geek session with other bartenders of Itaewon. 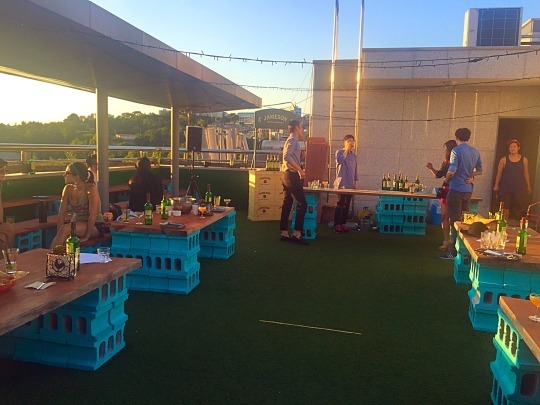 I do look forward to future events like this, because they are not only fun, but also a brilliant way to bring local bartenders together. At the end of the day, more than competitors, we are all brothers (or sisters)-in-arms, striving to make Seoul a unique spot on the world bartender map.